As a world war rages through Europe in 1915, Ottoman authorities commence the systematic slaughter of 1.5 million Armenians--the first genocide in modern history. A teenage boy named Kaspar Hovannisian is among the surviving generation of Armenians who escape the ruins of their ancestral homeland and build communities around the world. Kaspar follows the American dream to California's San Joaquin Valley, where he cultivates a small farm and begins investing in real estate. But memories of Armenia burn strong--a legacy of love, anguish and faith in a national rebirth. Kaspar's son Richard leaves the family farm, ready to defend the history of a lost nation against the forces of time and denial. He helps pioneer the field of Armenian studies in the United States and becomes a worldwide authority on genocide. Richard's son Raffi is also haunted and inspired by the past. In 1989, he leaves his law firm in Los Angeles to stage the original act of repatriation to Soviet Armenia, where he goes on to play a historic role in the creation of a new and independent republic. 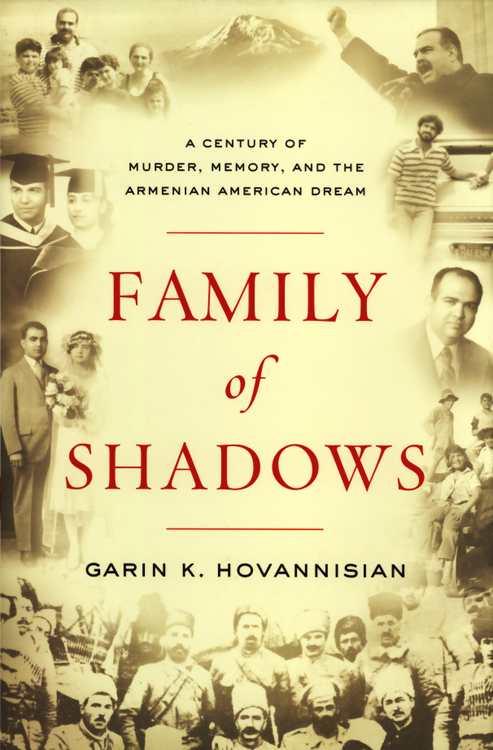 Now, in a moving book that is part investigative memoir and part history of the Armenian people, Raffi's son, Garin Hovannisian, tells his family's story--a tale of tragedy, memory and redemption that illuminates the long shadows that history casts on people's lives.